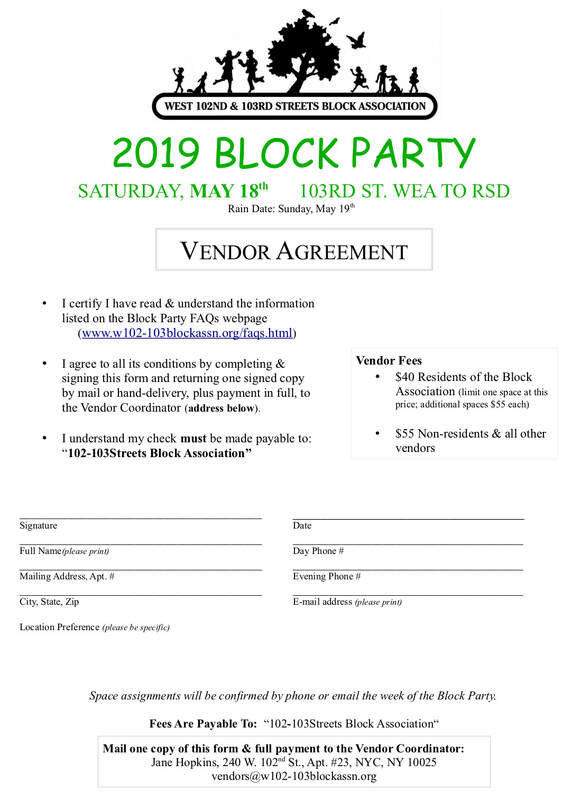 ﻿﻿Vendors: please download the pdf (downloadable link below) and then print, sign, and return it with your payment to the vendor administrator at the mailing address on the form. • $40 Block Assocation Residents (limit is one space at this price and $55 for any additional space). Please read the Vendor Agreement Form thoroughly before signing the vendors agreement as you will be held to the requirements as stated.﻿﻿ Please also read through the FAQ section before sending in your form; FAQ may be found here.